Happy birthday Tessa! Goody, it's on a Friday, hope you have a special day ahead. It's midnight, so happy birthday to me! To celebrate, I will be reducing the price of entry to $25 per spot. This new price is retroactive, so everyone who has already entered will pay the new price, too. What an awesome unbirthday gift to everyone! Happy birthday to you! Happy Birthday, Tessa! I'll take #20. Thanks, everyone! Yesterday was a pretty nice day. And thanks for the entries! Added! Happy birthday @timeerkat ! How come this game is not sold out yet?! Happy Birthday!!!! I would like #14 please and thank you. I'll take a random # if there are any left! Added! 20 spots taken, 10 to go! How come this game is not sold out yet?! That is an excellent question! No idea, but it works in my favor. I'll tak another slot - #17 please. I'll take spot #12. I kinda want another spot too, but the holiday CC bill came in, and so I probably shouldn't. But if this takes several more days to fill, then we'll see. Added, thanks! Seven spots to go! 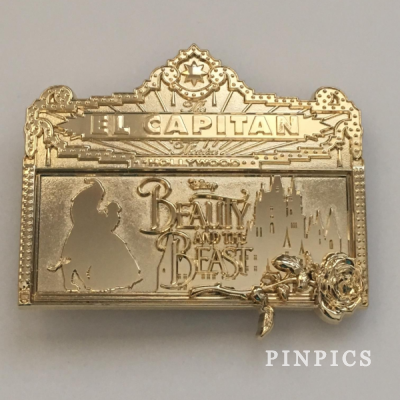 The grand prize winner will get to choose between the Rescuers pin from the LIAA Sketching Our Love framed set or the Beauty and the Beast diecast marquee. 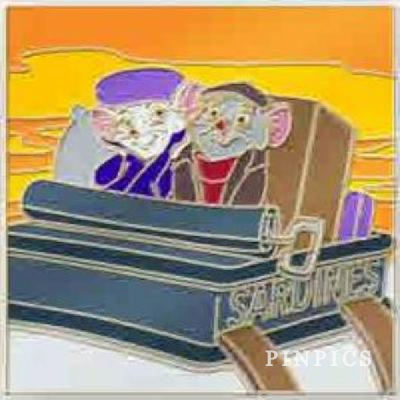 I will post photos of the actual pins tonight. So I consulted with DH, and got no eye rolling about a 2nd spot (he agrees I have done well with my post-holiday spending) so I will take #27 (his choice) for my 2nd spot. Whoo, 90% filled now! Three spots left! I'm getting excited, and I'm just running the thing! I will take spot #24.